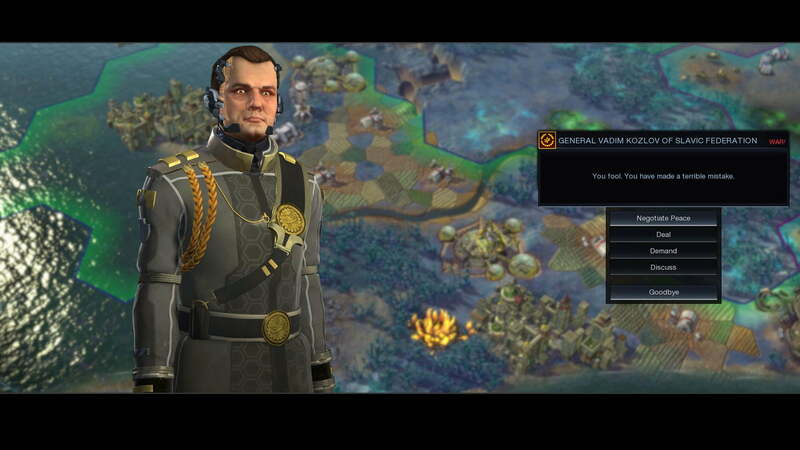 Despite loads of in-game tutorial pop-ups and the extensive Civilopedia, starting a new game of Civilization: Beyond Earth can be an intimidating prospect, even for veterans of the series. If anything, extensive prior experience with previous iterations might trip you up because so much appears to be the same that you could easily fall into well-worn strategies that won’t actually work out so well for you. 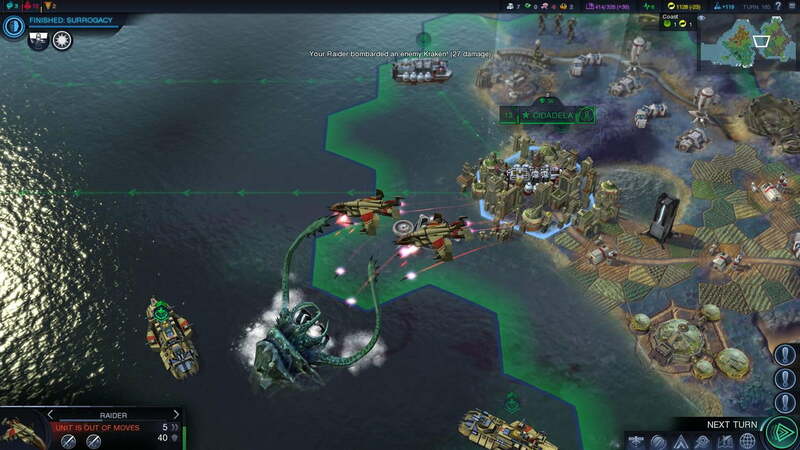 It may look like Civ V and smell like Civ V, but don’t be fooled: Beyond Earth is its own beast. After a few weeks of building space empires, we’ve learned a thing or two about surviving these alien worlds. 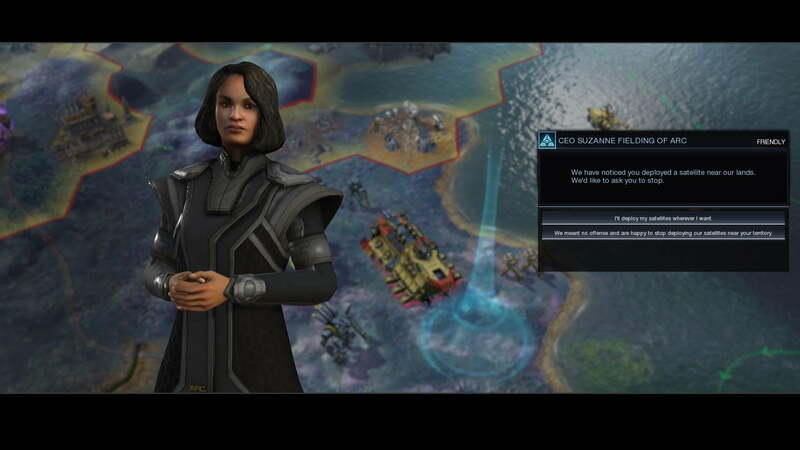 Below you will find a selection of tips and tricks for getting a strong start in Beyond Earth. Check them out and learn from our mistakes. Choosing your sponsor is the first decision you will make in a new game. Without any context on which to base your choice, it’s largely a matter of taste, so choose the sponsor whose ability sounds most in line with how you would like to play. It starts to get interesting with the subsequent decisions about your mission’s other parameters, such as what kind of colonists and equipment to bring. Here you can start finding those sweet synergies so close to the heart of the game. Look at a few of the effective combinations we’ve found so far. The Pan Asian Cooperative, with its increase in worker speed and faster production of Wonders, is a strong choice for beginners since, no matter your goals and style, you need to improve tiles and probably build a Wonder or two. Bringing a worker along at the start helps you capitalize on that speed from the first turn, which can snowball your capital into a powerhouse. The Kavithan Protectorate’s outposts grow into full-fledged cities at a much higher rate, encouraging early expansion. Arriving with the Pioneering technology (which unlocks colonists and trading) lets you claim territory quickly and jump start the productive flow of commerce between your cities. The Tectonic Scanner helps you make an informed decision about where to place that second city by revealing all of the hidden strategic resources from the start. Don’t underestimate Polystralia. Trade routes are more important in Beyond Earth than in previous games, and Polystralia’s extra two in the capital can add up to huge gains over the course of the game. You’ll also want to start with Pioneering to take advantage of the ability as soon as you find trading partners. On the other hand, don’t overestimate Brasilia’s 10% boost to melee combat. It certainly gives you an edge in combat in the long run, but you can’t just go around kicking in the doors to alien nests as soon as you get your first marine. Even the weakest aliens are substantially stronger than you at first, so slow your roll and build up your forces for a bit before you go out busting heads. Early aggression is trickier to pull off here than in previous games. 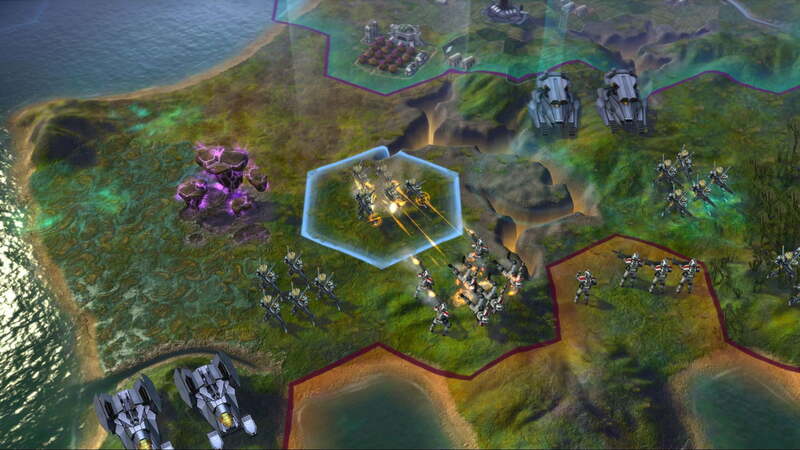 Three of the strategic resources are visible from the beginning of the game (Firaxite, Floatstone, and Xenomass). The other three require particular technologies to reveal them on the map (Chemistry for Petroleum, Geophysics for Geothermal, and Engineering for Titanium). If you didn’t equip the Tectonic Scanner to your ship at the start of the game, then learning some or all of these technologies before expanding into your second city can greatly inform your choice of location. Prioritize building Trade Depots as early as possible in your new cities. More than just adding production to that city, adding two more trade routes can be a huge, flexible boon, benefiting both your own cities and diplomatic relations with your trading partners. Trading is generally more important in Beyond Earth than it has been before, with the number of trade routes limited only by the number of cities. A technology that you’ll want to snag as early as possible is Ecology, which unlocks the Hypersonic Fence. This building creates an alien-free zone for two tiles around your city, but its best utility comes a few turns after you’ve built one when the quest decision pops up. You will be given the opportunity to either extend the range for one more tile around your cities, or make the system portable so that your trade units will not be attacked by aliens. Go for the latter. While the extra breathing room around your cities is certainly nice, particularly if it closes off a choke point, it hardly compares to the peace of mind you get from not having to worry about your trade vessels being scuttled by a kraken, particularly in the early game when most of the world is an untamed frontier. Make a quick about-face if you crest a hill and see that the upcoming terrain is swarming with wolf beetles. Aliens are generally a much more harrowing threat than the barbarians of previous games, at least at first. Whereas before you could send a scout out and be reasonably assured that, if at full health, they could take a beating from a few barbarians, escape to heal, and keep on trekking, Beyond Earth’s explorers are much more vulnerable to being wiped out moments after leaving your territory if they run afoul of the local fauna. Accordingly, explore one tile at a time. Explorers can move two spaces each turn, regardless of the terrain type, but it’s always prudent to take your time and be sure you can make a quick about-face if you crest a hill and see that the upcoming terrain is swarming with wolf beetles. The solution to your alien problem doesn’t have to be building up a squad of marines to wipe the buggers out. In fact, doing so will only make them angrier and provoke more aggression. The icons above the aliens’ heads correspond to their level of aggression: green means that they’d just as soon leave you alone, orange means they’re getting a bit testy, and red means that you (or one of your neighbors) has killed a few too many and you can expect them to come knocking. If you are careful to avoid sending units into situations where they are surrounded, which will often provoke an attack even if the aliens are green, then it’s entirely possible to go through the entire game peacefully co-existing with them. Whether you want to harmoniously cohabitate or exterminate them like vermin, it is generally best to leave the aliens alone for the first part of the game, until you can confidently hold your own against them. Health can be much trickier to manage than Civ V’s analogous Happiness. Without luxury resources to help you out through trade, you must rely on structures and a handful of cultural Virtues to keep your health up. Plan your expansion accordingly, with a sense of how you will be able to mitigate the negative health that comes from new cities and growing population. The benefits of Affinity levels are extremely useful. In addition to powerful bonuses like maintenance-free roads and explorers that aliens won’t attack, Affinity levels also unlock upgrades for your basic military units, which is vital for keeping pace with your rivals and growing strong enough to handle alien threats. Unique units are associated with Affinities as well, so you will need to be very committed to Supremacy if you want those awesome, giant robots. Choose the Affinity that you’ll go for early and let that guide your research. 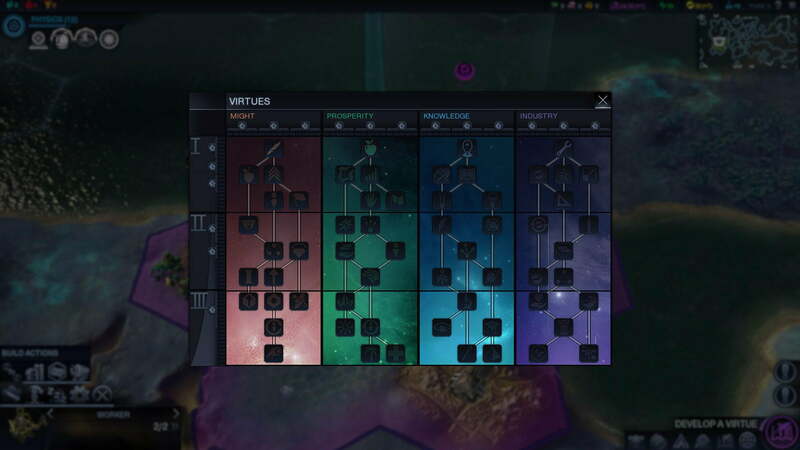 Each Affinity has a strategic resource that is associated with its unique units and buildings (Firaxite for Supremacy, Floatstone for Purity, and Xenomass for Harmony), so whatever you have near your starting cities can help guide that decision. You will also start to get quests early on that can impact your Affinity levels, so knowing your endgame plan helps inform those choices. Virtues reward you for both specializing in one tree and diversifying across all four in each of three tiers. The choice here depends entirely on how you choose to play, but one good start is to take all five Virtues from the first tier of Knowledge, the science and culture tree, since they are the Virtues that beget more Virtues. After that grab the first Virtue from another tree (up to you, depending on whether you want more building production, growth, or military experience) and you will unlock the first Tier 1 bonus, which lets you take another Virtue right away. Planning ahead like that to grab the synergy bonuses really helps your progress. 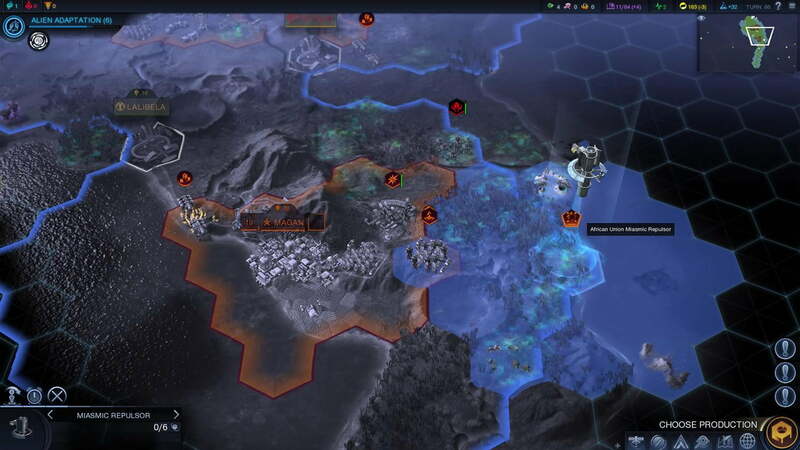 Beyond Earth is a massive game that we’ve only started to dig into, but the above pointers should help you have a smooth landing on alien soil. Good luck out there!